I feel like a spider.. 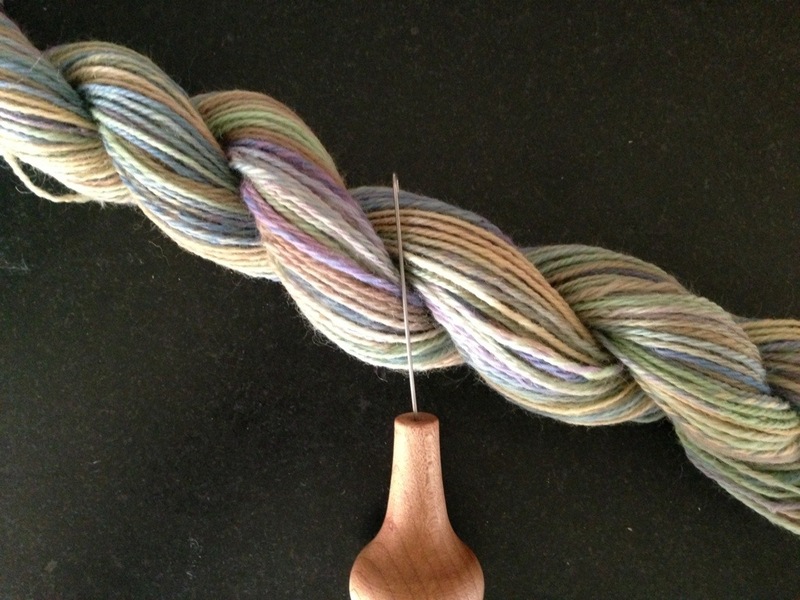 The other day I spun what I hoped would be fine yarn but it was still thicker than I had hoped. So, I resolved to try to spin as thin as I could with this next batch of fiber. This is a pic in progress..
..and I felt like I was spinning thread. I put a LOT of twist in it and planned on Navajo plying. But not having spun this fine before..I had no idea how well that would go and I didn’t want to do the full 4 oz and have a disaster on my hands. 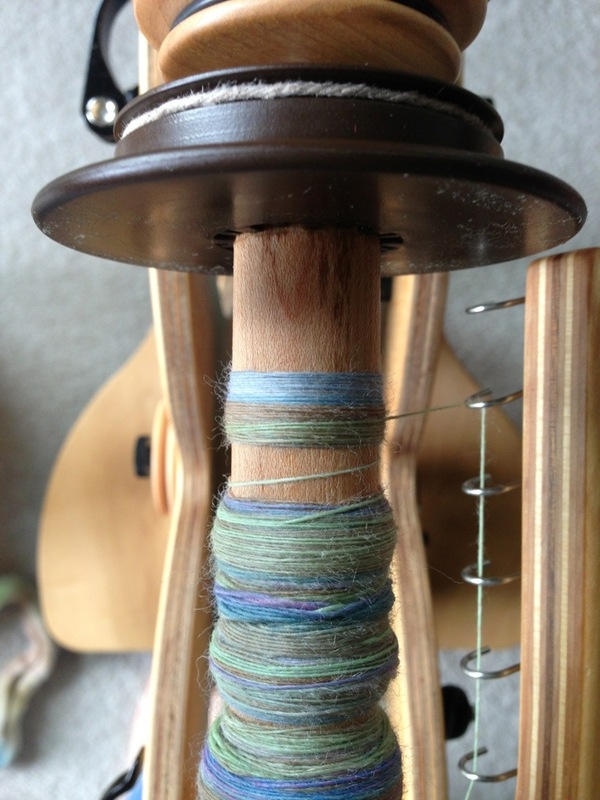 Besides, it took me two days to spin the first piece, which was .8 oz. So I plied it, and I gotta admit..it was a dream! Fun, delicate and smooth. I was slightly shocked, to be honest! Here’s a pic straight off the niddy noddy, with the orifice hook to give some perspective. Navajo ply, .8 oz, 112 yards. Bam! Spin on and happy weekend! This entry was posted in knitting, Spinning and tagged knitting, sock yarn, Spinning by Leah. Bookmark the permalink. Nicely done… love the colours too. Thank you!! That’s so cool!! !